“”On the history of the human race we have progressively been shedding our animal nature and working towards our spiritualisation leaving the density of matter and moving towards the light, this on-going process, which has begun with the fall of men into Earth, involves the releasing of mineral, plant, and animal codes which were grafted into us. A disease manifests when there are blockages to this shedding process. "I have adopted a very open minded approach to practicing that includes many methodologies and a large spectrum of remedies. My principle doctrine is simply to use the most effective system of homeopathy that benefits the patient." Galahomeopathy is delighted to welcome our new speaker Gordon Sambidge. 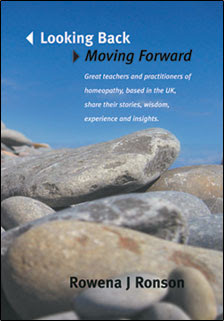 Gordon is the founder and Principal of Centre for Homeopathic Education in London and a very well-known and knowledgeable teacher. As well as teaching in his own college he has taught in Europe and America and has also lectured at various homeopathic conferences. Gordon has been practising homeopathy for 25 years and run a busy practice in St John's Wood, central London. “Most of our animal remedies are from milk. All of the milk remedies or Lacs have an element of nurture and nutrition since it is essential for the animal’s survival. How a mother takes care of its young will insure the survival of the species. How the animal takes care of itself as an adult is also inherent in the survival of the species. All animals want to survive so there will be inherent ways to ensure that within each of the mammal remedies. * ” There are about 25 different Lac’s in our Materia Medica and all of them are very appropriate for the reality and stresses of our modern life. Gordon finds the mammal remedies are frequently indicated in his patients and he will cover the ones that he uses the most. · An overview of the common themes of the mammal group. · The reasons for prescribing the mammal remedies. FULL PRICE: £30 (£25 for students). Price includes refreshments. EARLY BIRDS DISCOUNT: £25 (£20 for students) till 13th of June.